What’s the process for booking a portrait session with Jen McKen? Clients build their own custom collections ensuring they are in love with their finished product. Most clients invest between $500-$2,000; some less, some more. I LOVE the products I offer! My favorites, which also happen to be my clients favorites are the leather albums, gallery wrapped canvases and large prints. #1 Let’s chat about a date and location: do you have a location in mind already? If not, no problem, depending on the look/feel you want in your images, I have a few places I shoot at regularly…but I LOVE when my clients bring their ideas to the table, it allows us to customize the experience specifically to you! We’ll figure out a date/time that works best for both of us… also, we’ll most likely schedule another the date that you will come to the studio to view your final images and place your print/product order. #2 Let’s Make It Official: I’ll send you over an online booking link to make it official. You’ll sign your name and then it gets input into my calendar so that spot doesn’t get booked by anyone else. Once you pay your retainer, that date is officially yours. #3 The Day of Your Photoshoot: On the day of your shoot, come ready to have lots of fun, be relaxed and let me work my magic. I promise you will be blown away. We’ll hang out for 1.5-2 hours creating gorgeous portraits. We’ll laugh and tell bad jokes! #4 Viewing Your Images At Ordering Session: This is probably the BEST and MOST IMPORTANT part….roughly 2 weeks after your photoshoot your images will be prepared for viewing. This is when you’ll ooh and ahh over all your awesome portraits (it’s OK to cry). This is the first time you’ll see your photographs (except maybe a sneak peek will be shared on social media). We’ll meet here in the studio so that I can assist you during your ordering session. At this time, you’ll narrow down to your favorite portraits and make ALL FINAL decisions in regards to your portrait order. Be prepared to pay for you order at this time, it is very important that any and all decision makers be present during this ordering session. All ordered images will be archived for 90 days. Any UNORDERED images are permanently purged from our system after the expiration. Online proofs are available for 3 days before ALL orders must be placed. #5 Receiving Your Products + Prints: You’ve placed your order during the ordering session and you can not wait to get the final products in your hands. Prints usually arrive 5-7 days later, albums, canvases and other specialty products can take 7-12 days to arrive. Now you get to show off your images! **Please note: sessions may require a travel fee if shooting outside of Indiana County, PA. Prices do not include sales tax or shipping. Due to the extra time and attention required for newborn sessions, additional fees apply. Local 6% sales tax will be collected on all transactions. 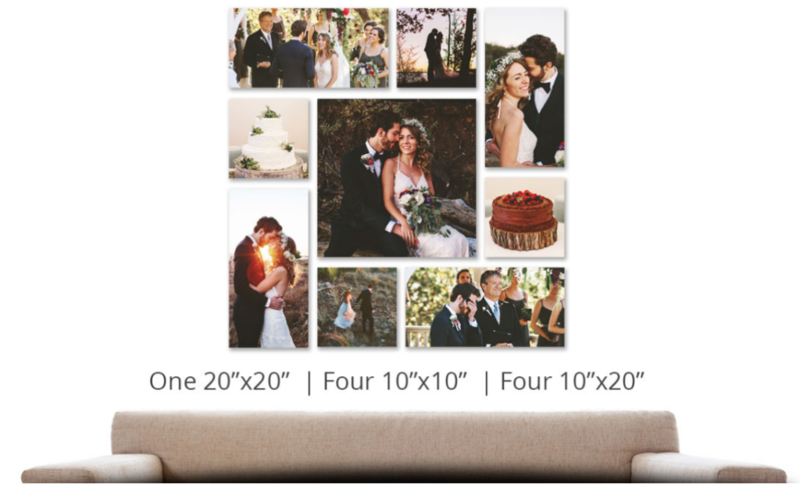 $1950= All digital files + 8×8- 20 page, 10 spread- customized album of your favorite 30 images and 4×6 prints for up to 30 images. ** Prices are for portrait sessions only, for small events and weddings, please contact me for further pricing at info@jenmckenphoto.com or by emailing me using the “contact” link above. If I choose the digital option, how are my files delivered? -Great Question!!! Long gone are the days of floppy discs….and soon, long will be gone the days of CD’s and flash drives. As a matter of fact, Apple’s new version of computers doesn’t even have a disc drive! In an effort to stay current with the times, for you to get your images faster, and to make your life ohh-so easy, I deliver all digital files from your session on a customized site that will not only allow you to download your images directly onto any hard drive of your choice, but you’ll also be able to share them with friends and family, share them on facebook and other social media allowing you to relive your day from ANY computer or smart phone.